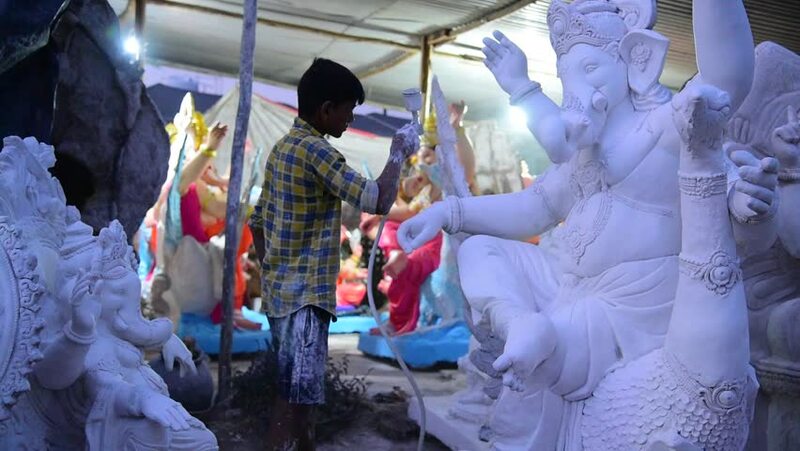 hd00:19AMRAVATI, MAHARASHTRA - SEPTEMBER 12, 2018: Artist gives finishing touches on an idol of the Hindu god Lord Ganesha at an artist's workshop for Ganesha festival. hd00:38Kanchanaburi , Thailand on Aug 12th, 2015: Thai people celebrate the birthday of their beloved Queen. 4k00:48ZHONGSHAN CHINA-FEB 2,2017:man making and selling wirework models.Jan 28 is the first day of Year Rooster.